to develop and encourage the cooperation across universities and research institutions in Europe. Founded in 1990, EAERE has approximately 1200 members in over 60 countries from Europe and beyond, from academic and research institutions, international organisations, the public sector, and the business world. Membership is open to individuals who by their profession, training and/or function are involved in environmental, climate and resource economics as a science, and to institutions operating in fields connected with the aims of the Association. EAERE activities started with the First Annual Conference held at the University of Venice, Italy in April 1990. More than two hundred scholars from Europe and North-America took part in this event. Following the success of the meeting and the enthusiasm of the participants, the organizers decided to take formal steps to establish an association. During the Second Annual Conference in Stockholm, Sweden, in 1991 candidates for the Presidency and the Council were announced. After an election by the Association members, the first Council took office in January 1992. In May 1992, the legal seat of EAERE was established in Siegen, Germany. In May 2006, the legal seat of EAERE was transferred to Venice, Italy, and the Association and its Statutes are governed by Italian law. 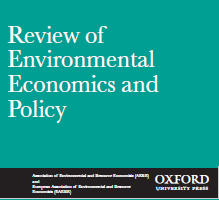 EAERE has two official Journals: Environmental and Resource Economics (ERE) and Review of Environmental Economics and Policy (REEP). 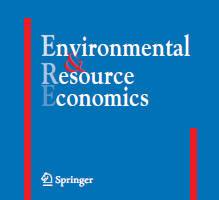 The primary concern of ERE is the application of economic theory and methods to environmental issues and problems across a range of spatial and temporal scales up to the global dimension. Each summer, EAERE organises its Annual Conference, an invaluable opportunity for meeting, exchanging and debating current topics in environmental, climate and resource economics. With approximately 800 individual participants attending from all over the world, international researchers, scholars, economists and students convene to the EAERE Annual Conferences in the spirit of economic discovery, research, analysis and collaboration. Conferences are held in European countries and unite European participants together with their national and international neighbours. Every four years since 1998, EAERE’s Annual Conference is held within the World Congress of Environmental and Resource Economists, an international event organised together with AERE. From 2018, the event is co-organised by AERE, EAAERE and EAERE. EAERE offers scholars, researchers and students a rich educational outreach portfolio comprised of its annual Summer and Winter Schools. The broader objective of this series of events is to provide advanced training for young researchers from all over Europe and beyond on environmental, climate and resource economics. EAERE communication outreach portfolio includes a quarterly Magazine, a monthly Newsletter and an active social media profile (Twitter, Facebook, Instagram, LinkedIn).